** As of August 28th, I have been informed by the organizers that the Wanderlust event has been postponed until further notice. It was just the other day that I was telling a friend that I need to go to more go to more networking events. It’s been way too long. It was as if the internet heard me – just a few days ago, I was invited by a group in Toronto called Illuminare Foundation to attend a mixer they are throwing next week. Illuminare Foundation is a new Toronto-based group. Geared towards those in the 20 to 40 age range, Illuminare Foundation provides an outlet for those in the community to meet new people, share ideas and make connections. Unlike other mixers that often charge a substantial and prohibitive entry fee, Illuminare sets their ticket prices that allows more people to attend their events. Additionally, proceeds of the ticket price will be donated to a charity. The event that I will be attending is called Wanderlust. I’m quite looking forward to it. It will be held at the Steam Whistle Brewery, which I hear is quite the venue. Proceeds from this event will benefit FINCA, a microfinance organization that provides financial services to entrepreneurs in low-income areas throughout the world. Their financial support helps stimulate job growth, build on assets and improve living standards that would have otherwise been left alone. 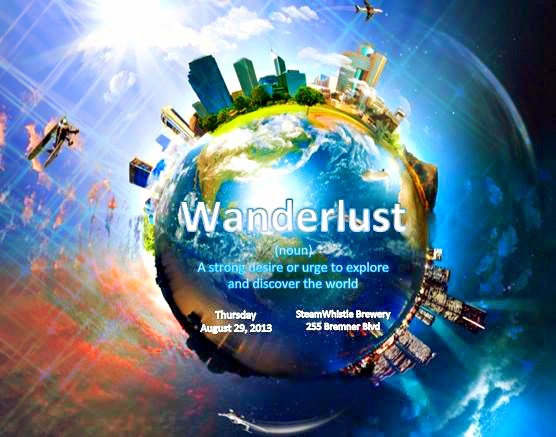 If you’re in Toronto and would like to try something different on your Thursday night, join me at the Wanderlust event. *** Disclosure: The good people at Illuminare Foundation were kind enough to provide me and a guest with complimentary tickets to the Wanderlust event.